As the years go by I’ve learned a lot from all of my children. Watching them play, and interact with each other has helped me grow as a person and become a better parent. Below are four things that I have absorbed while raising my five kids. 1. Treasure the moments while they are still little. My mother has told me several times that I need to enjoy my kids while they are still small because they grow up too quickly. Because I have a fifteen year old I understand this all too well. Over the years I have come to ask myself, “Did I play with her enough when she was small? Do I have plenty of photos of her when she was little? Does she have good memories from her childhood? If I made any mistakes raising her I do not want to repeat them with my other four. I make an attempt to play with my little ones every single day. We play with cars and trucks, sing, dance, play cooking games, and do art and craft projects. I know that I am creating lasting memories for my children during our play time. We are so fortunate to live in the digital age. Cameras are attached to phones and other electronic devices making it simple and convenient for busy moms like me to take photos of and videos of their kids every single day. Even though a lot of my photos do not turn out very well, I am capturing memories. I’ve also thought about starting a diary so I can record all the funny things that they do and say every day. 2. A messy house is a happy home. I used to clean and do housework on a daily basis. But when I did this I was left with very little free time. If the house meet up to my standards I was not fun to be around. I’ve tried to encourage my kids to help me keep a tidy home by turning it into a game or rewarding them. My kids are typical and they don’t enjoy chores. Now I put up with dishes in the sink, toys scattered around the house and unmade beds. Now that I don’t stress about my untidy home I have more time to have fun and enjoy my children. Our home is a lot more peaceful and everyone is happy. 3. 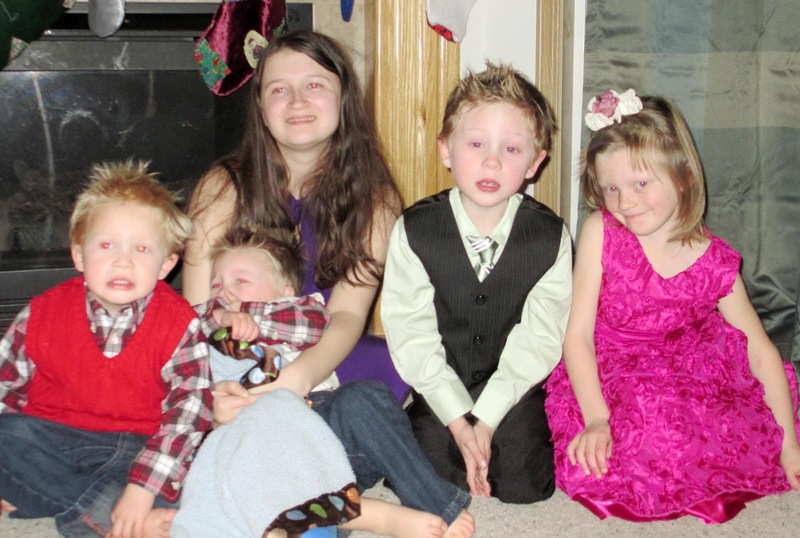 My kids are all different and I shouldn’t compare them to each other. I am still trying to perfect this one. Most parents probably do this without realizing it. Johnny loves school and gets good grades but little brother Timmy hates school and does everything he can to get out of doing his homework. A parent of those two boys would have a difficult time not saying to Timmy, “A bad report card again! Why can’t you be more like your brother!” When I was a kid my parents didn’t compare us kids too much, but I constantly compared myself to my siblings. I was always hard on myself and it effected my esteem. Every child is unique and special and we should offer words of praise and encouragement embracing their differences. 4. I’m not the perfect parent and I never will be. It doesn’t matter how many parenting books and blogs that I read. I can use every tip out there but I still will not be the perfect parent and I will never have the perfect kids. I run into different challenges each and every day with my kids. You can not discipline all your kids the same. Parenting is a learning process and you can only do so much to help your kids grow and develop their character. Related Is Your Kid Athlete Eating the Right Foods? What a great post.Children are so important & couldn't agree more w/ this article.Well said! Anonymous, thank you for visiting. I love being a mom and learn new things from my kids every single day. I love the website posted… http://www.cookinggamesclub.com … is great !